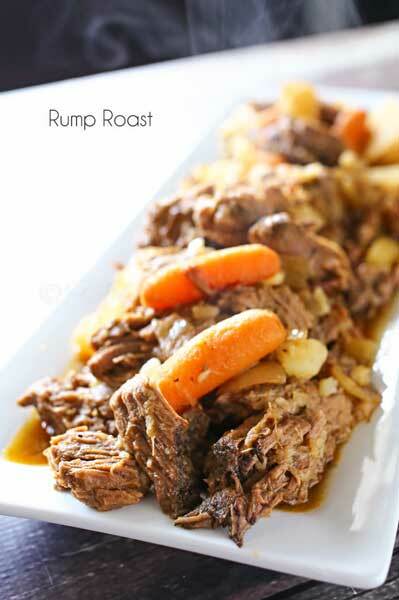 I partnered with Blue Apron to create this recipe. All thoughts & opinions are my own. 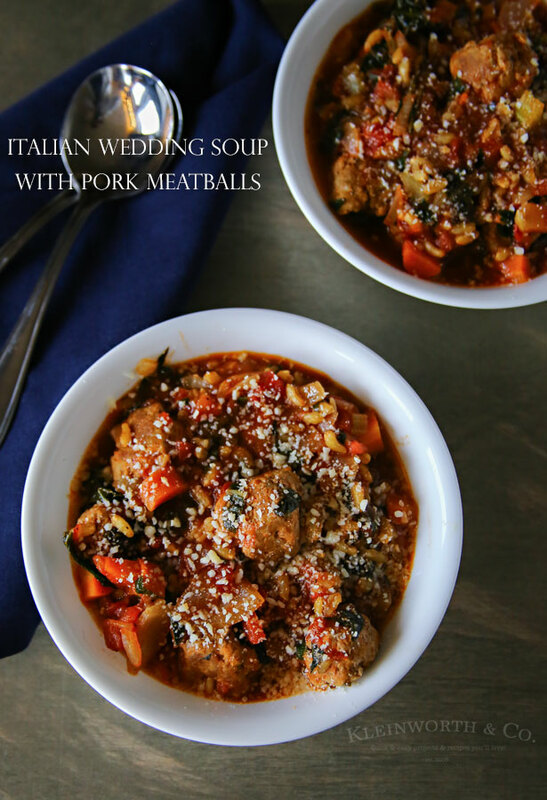 Italian Wedding Soup with juicy Pork Meatballs is a simple & hearty soup recipe once called minestra maritata or married soup. It’s sure to become a favorite! It’s no secret I’m all about easy dinners around here. When you have been working all day, the last thing you want to do is get in the kitchen & spend hours slaving away only to enjoy a few bites & then spend more time cleaning up after it all. 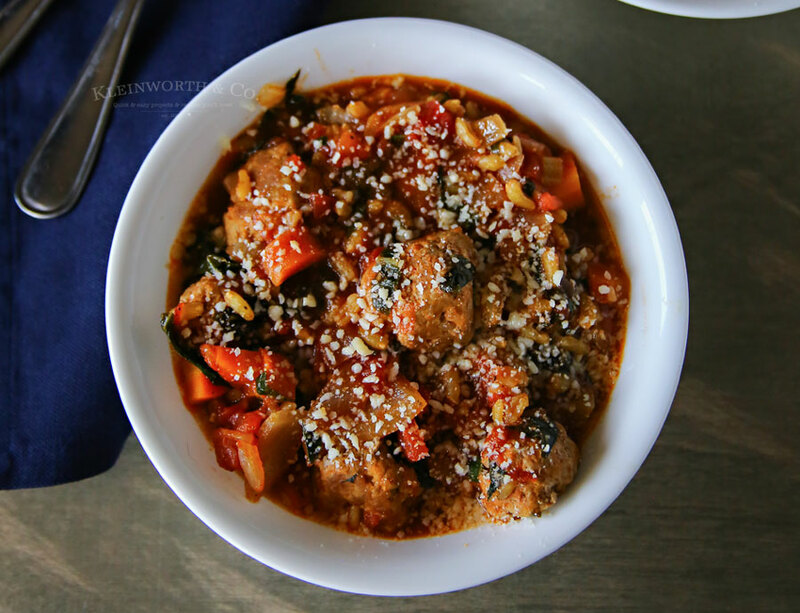 Creating simple & easy dinners that still satisfy the whole family is a top priority for me, which is why I love this Italian Wedding Soup that’s packed with hearty veggies & pork meatballs. This recipe & all the ingredients were sent in our Blue Apron meal delivery service shipment along with ingredients for 2 more dinner recipes. I love that they send everything I need, including the seasonings & spices to create a delicious meal. 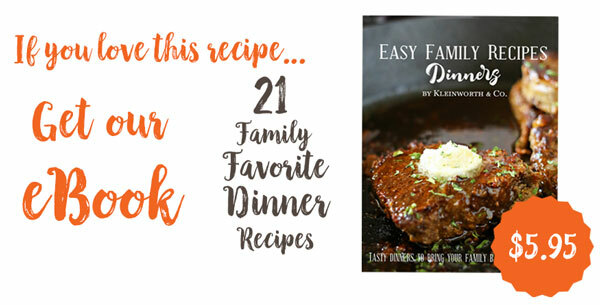 The recipe cards are awesome, showing step-by-step pictures with the instructions so I can easily pass the dinner duties off to the kids & they would be able to cook dinner too. This soup- WOW it’s so good. 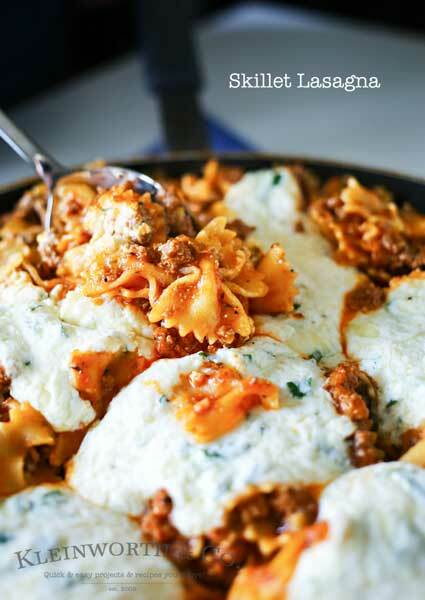 I love that it’s loaded with veggies & those tasty pork meatballs. It really is just what you want to fill up with on a chilly winter evening. I know my son sure loved having some after walking the dog. He was chilled to the bone & was definitely ready for some comfort food to warm him up. 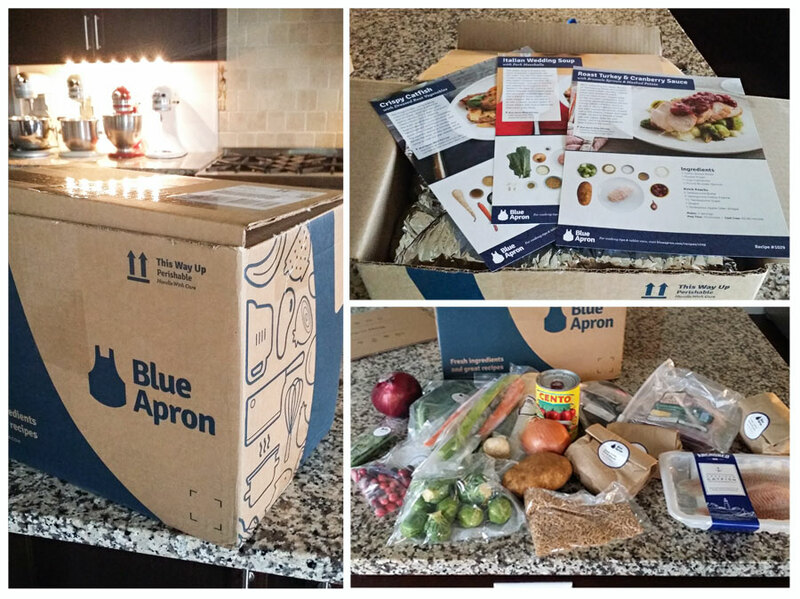 You can order enough food through Blue Apron to feed 2 people or change your portions to fit your family size. 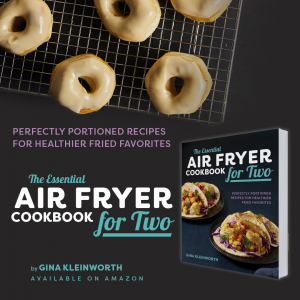 This was perfect for us & I can’t wait to make the other recipes they sent. The roast turkey with cranberry sauce & the crispy catfish sound so good. 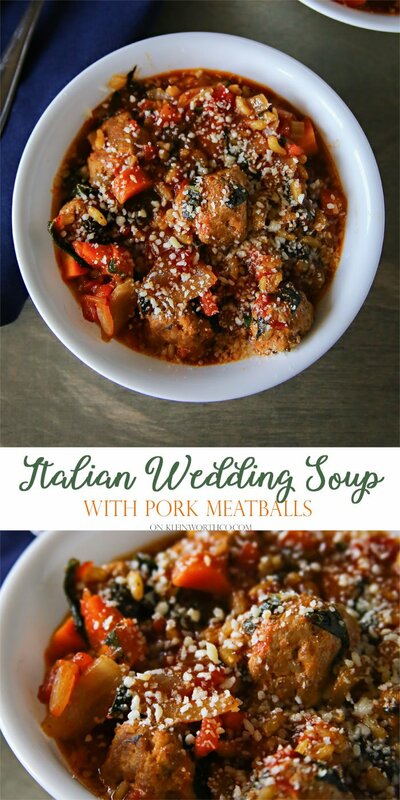 Italian Wedding Soup with juicy Pork Meatballs is a simple & hearty soup recipe once called minestra maritata or married soup. While the khorasan wheat cooks, wash and dry the fresh produce. Peel and medium dice the carrot. Peel and small dice the onion. Remove and discard the collard green stems; roughly chop the leaves. While the khorasan wheat continues to cook, in a medium bowl, combine the ground pork (removing and discarding the paper lining from the bottom), spice blend, half the cheese and as much of the red pepper flakes as you’d like, depending on how spicy you’d like the dish to be; season with salt and pepper. Gently mix until just combined. 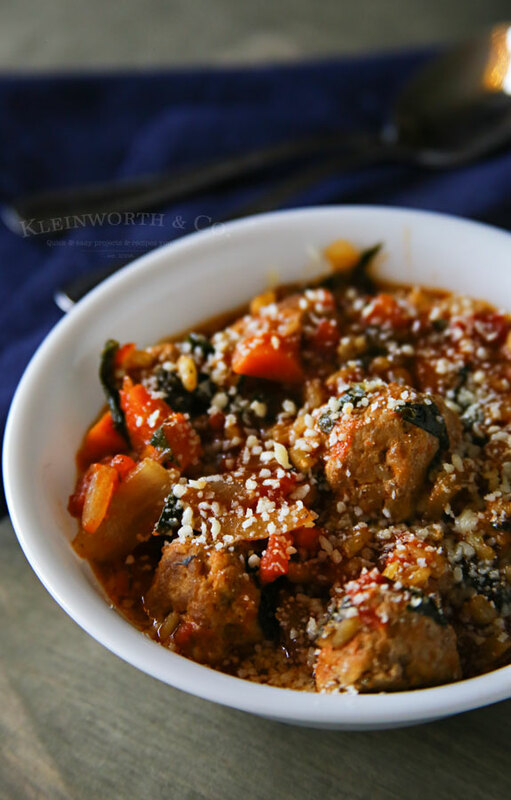 Using your hands, form the mixture into 12 to 14 equal-sized meatballs; transfer to a plate. In a large, high-sided pan (or pot), heat 2 teaspoons of olive oil on medium-high until hot. Add the meatballs and cook, turning occasionally, 4 to 6 minutes, or until browned on all sides. Leaving any browned bits (or fond) in the pan, transfer to a paper towel-lined plate and set aside in a warm place. Cook on medium-high, stirring occasionally, 4 to 6 minutes, or until slightly softened and fragrant. Add the collard greens, diced tomatoes, browned meatballs, cooked khorasan wheat and reserved khorasan wheat cooking water to the pan; season with salt and pepper. Once simmering, cook, stirring occasionally, 8 to 10 minutes, or until the liquid has reduced in volume by about ¼ and the meatballs are cooked through. Divide the finished soup between 2 bowls. 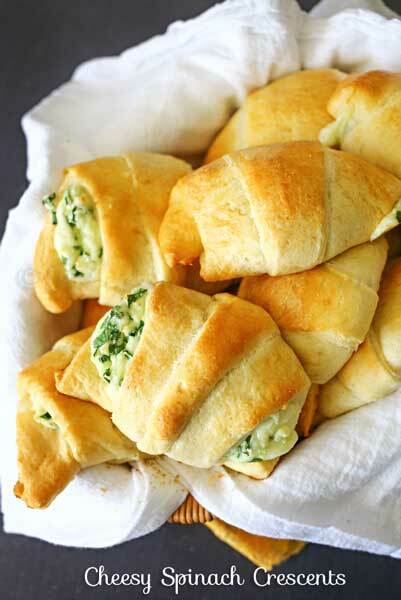 Garnish with the remaining cheese and a drizzle of olive oil. 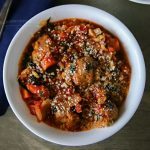 We all love this soup & that Blue Apron made it so easy by delivering everything we needed to create it. It’s definitely a perk when I don’t want to head out to the store on a snowy day.